We know that feeling compassionate towards others is a good trait to have. Feeling compassionate means we are aware and are moved by the suffering of others. Research is showing that being compassionate towards other can increase our well-being.The part of the brain responsible for compassion and empathy is the cerebral cortex. If it’s working well, we feel kindness, care and understanding for people. 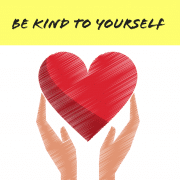 Self-compassion is where compassion turns inward and those feelings of kindness and understanding are directed at ourselves at those times when we feel inadequate or if we fail rather than drowning ourselves with self-criticism. With 3 million people in Australia living with depression or anxiety, it seems self-compassion may be missing in a lot of lives. There’s good reason to be self-compassionate and science is showing us why. People who were self-compassionate tended to be more optimistic and had a tendency not to believe that their problems were worse than other people’s problems. A person with a high level of self-compassion experiences the feeling of kindness towards oneself, and takes on a nonjudgmental attitude towards their own inadequacies and failures, recognising that experiencing those failures is normal. People who were self-compassionate had less sadness, anxiety, and negative feelings. Whether it’s playing with your dog, gardening or working out at the gym, so more of what makes you happy. Write a list of things that you enjoy so when you are feeling negative you can read the list and choose something that works for you. Many of us spend time tending to the needs of others that we put ourselves at the bottom of the priority list. Putting self-care higher up the list will improve well-being and therefore improve our ability to look after others. Deep breathing such as Box Breathing or any meditation practice calms the central nervous system, alleviating stress and anxiety. 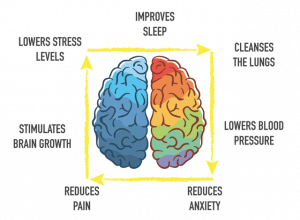 Exercise is not only physically good for us, but it taps into the emotional parts of the brain that trigger the release of ‘feel good’ hormones. You don’t have to sweat it out at the gym as even smaller, short bursts of exercise have a positive effect on our mood. When we are feeling down about ourselves we often crave high sugar and fat foods which release the hormone, dopamine, making us feel good in the short term. Our brains are wired to seed pleasure, so we turn to these foods to seek the positive feelings they bring. Research is showing a link between mood and food intake which can lead to health problems (https://www.ncbi.nlm.nih.gov/pmc/articles/PMC4150387/) Eating a balanced diet of plenty of vegetables, fruit, protein, good fat, complex carbs and fibre will curb the sugar craving and stabilise mood swings. Being around friends and family who matter most can have a positive effect on your mental and physical health. If you’re feeling negative thoughts about yourself, call a friend you can confide in or even just have a chat. Often speaking with other puts a different perspective on things. There are many ways to deal with stress. 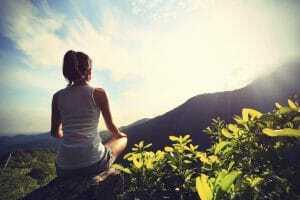 Exercise, mindfulness, spending time in nature are all effective ways to manage your stress. 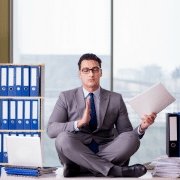 There is another way to manage stress which is very simple and incredibly effective – talking. In military settings, research has shown that soldiers of war who talked about the stress they experienced suffered less PTSD than those who didn’t talk. 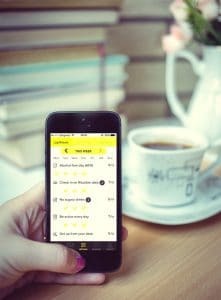 Talk therapy has also shown to be a powerful treatment for people suffering depression or anxiety and can often ease symptoms when used alongside medication. Talking alleviates stress in many ways. You may not be seeking the answers to what is stressing you, but just giving voice to your concerns can allow you to see the wood for the trees and even discover solutions for yourself. Alternatively, you may be wanting feedback or advice from another person. Bouncing ideas off someone and getting their input can often help you see your problems in a different light. We are innately social beings, so it’s natural and normal to reach out to others for advice. Family and friends can be great to talk to (providing they are not the problem in the first place). A trusted work colleague or even relevant online forums can be a great resource. It’s important we don’t bottle our stress up, which, over time, can affect our health. If the thought of having a tough conversation with someone is stressing you out, a great model to follow is the SBI model – Situation, Behaviour, Impact. For more on this watch our video or print out the SBI model framework. Simply talking can take the weight off our chest and help alleviate the symptoms of stress. Our lives are busy juggling work, finances, marriage, kids, family, friends – the list goes on. 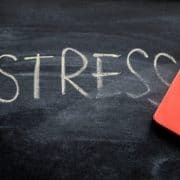 We are constantly hearing from health experts that stress is bad for us and that we need to be less stressed which, ironically, often makes us feel more stressed. This is making us sick and people are even dying from stress-related diseases. What if it’s not the stress that’s killing us, but instead it’s our responses and perception of stress that’s killing us? 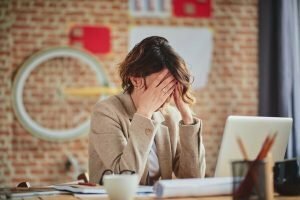 Research is showing that it’s in our body’s natural mechanism to cope with stress, and our reaction and belief around whether stress is a good or bad thing, that is the most harmful to our health. A popular TED talk by Kelly McGonigal, a Health Psychologist, “How to make stress your friend” is about approaching stress as helpful rather than being the enemy. She based her talk on a study of 30,000 people in the US over eight years. They were asked questions such as “How much stress have you experienced in the past year?” and “Do you believe that stress is harmful to your health?”. 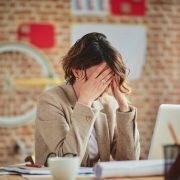 Interestingly, those who expressed a great deal of stress but didn’t view it as a harmful experience had the lowest risk of dying, whereas those who said they had experienced a lot of stress and viewed it as harmful had a 43 percent increased the risk of dying. McGonigal says if change our mindset and view our responses to stress as helpful to our performance, we will be less stressed out, less anxious, more confident. That pounding heart? It’s preparing you for action. Your increased breathing rate? It’s simply getting more oxygen to your brain. Your body will naturally manage the stress response and calm the nervous system down, as long as you don’t allow yourself to get worked up over a stressful situation. 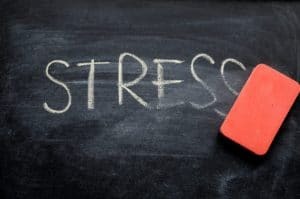 There’s even a term for ‘good’ stress – Eustress pronounced YOU-stress. It is the type of stress we feel when we are out of our comfort zones, but working towards something bigger or feel excited or challenged in a good way. Eustress provides us with an energy boost to perform challenging activities – especially where we need to focus and put in the extra effort. So, what if you were to consider all stress as Eustress? There’s no difference between Eustress and Distress, other than our reaction to it. With a multi-million dollar weight loss and fitness industry, plus thousands of apps you’d think it’d be easy for us to stick with a diet and exercise program. It all starts with the best of intention, but then momentum starts slowing down and motivation dwindles until you’re left with another weight loss ‘’ notch on your belt. Here’s the crux. Relying on motivation and willpower alone won’t work. We are usually motivated by the pleasure of what we want, or by the pain of what we don’t want. Over time, however, motivation subsides and you are then relying on willpower. If you have little motivation, a Tim-Tam in front of you with your work colleague enjoying one next to you, willpower can be tough. You see, willpower on its own is a bit like petrol in your car. The more you use up, the less you have. If you keep saying no to something when all you want to do it say yes, your willpower becomes depleted. This is why we often give in at night. All our willpower is used during the day, so at night we are more likely to reach for the Tim Tam we didn’t have earlier. It’s even harder when we are tired and stressed out. Setting smaller, shorter terms goals is a great way to keep our momentum going. This is because our brains are wired to seek pleasure from short-term success, rather than a goal that seems an eternity away. Doing small, healthy rituals each day and ticking them off releases feel-good hormones in the brain, so we end up wanting to do more. Over time, these small rituals add to big changes. This applies to any area of our lives – the food we eat, our exercise and movement, sleep and how we think. It is a phrase often used to explain the resilience of people who have endured hardships. It turns out that it certainly contains more than a grain of truth. My interest in this subject arose from undergoing a course called Air 427 in 1998, whilst serving as an officer in the British Armed Forces. The course was 10 days of rigorous combat survival and resistance to interrogation training, which involved walking 100’s of km over 10 days, with very little sleep due to sleeping rough in freezing conditions, and the only food over the entire 10 days was a chicken between 4 people – and it was alive when we got it. To ramp up the pressure, the final 5 days was an ‘escape and evasion’ phase, where we were to evade a Hunter Force that was equipped with helicopters, vehicles and dog teams. At the end of the 10 days, we underwent interrogation training, which consisted of alternating bouts of highly uncomfortable stress positions (blindfolded while exposed to very loud ‘white noise’), with interrogations of increasing intensity. Once the course was over, the first thing that struck me was that I had a new-found appreciation for things that I took for granted – as well as the obvious such as food, shelter and warmth, there were lots of little things that I appreciated much more, such as a toothbrush, clean underwear and toilet paper! 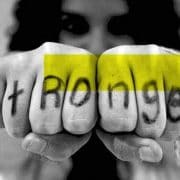 It wasn’t until a few weeks and months later that I noticed something more long lasting – my view of what was stressful had completely changed and my resilience was greatly enhanced. I realised that this phenomenon was very well explained by knowledge from my first Master’s Degree in Sports Science – that of training adaptation. Exposing the body to training stresses, such as sprinting or lifting heavy weights, induces changes in gene expression which result in an adaptive response – and the body ultimately becoming bigger, faster, stronger. This knowledge led to me reframing potential stress in my life as something that would make me stronger. When I left the Armed Forces and became more of an academic I looked deeper into the research in this area, and that is when I uncovered a topic that has real relevance to many areas of our life – that of hormesis. 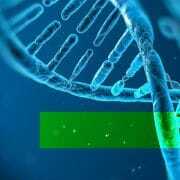 Hormesis is a biological phenomenon whereby a beneficial effect results from low doses of a stressor or toxin that a higher dose is harmful or even lethal. As you will see over the next few blogs, we can harness this biological phenomenon in a systematic and deliberate way to improve many aspects of our health and move us beyond resilience to being what I call ‘stress adapted’. 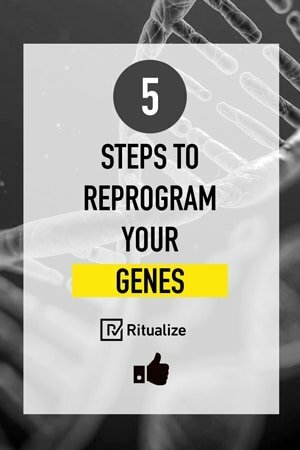 If you choose to adopt the hermetic lifestyle, you will likely be changing how you eat, what supplements you take, how you exercise and your view of stress to enhance production of protective genes and enzymes that will protect you against disease and increase your lifespan. I’ll explore how anti-oxidant supplements can be bad for you, the truth about why vegetables are good for you, and the best type of exercise for health. This is not the lifestyle equivalent of a fad diet, but the application of years of research into areas as adverse as gene expression, exercise adaptation, dietary polyphenols, ageing, resilience, toxicology, radiation, immunotherapy and special forces training – all under the same fascinating umbrella called hormesis.